We all know the vibrant orange-colored rice typically served alongside refried beans with any Tex-Mex meal. 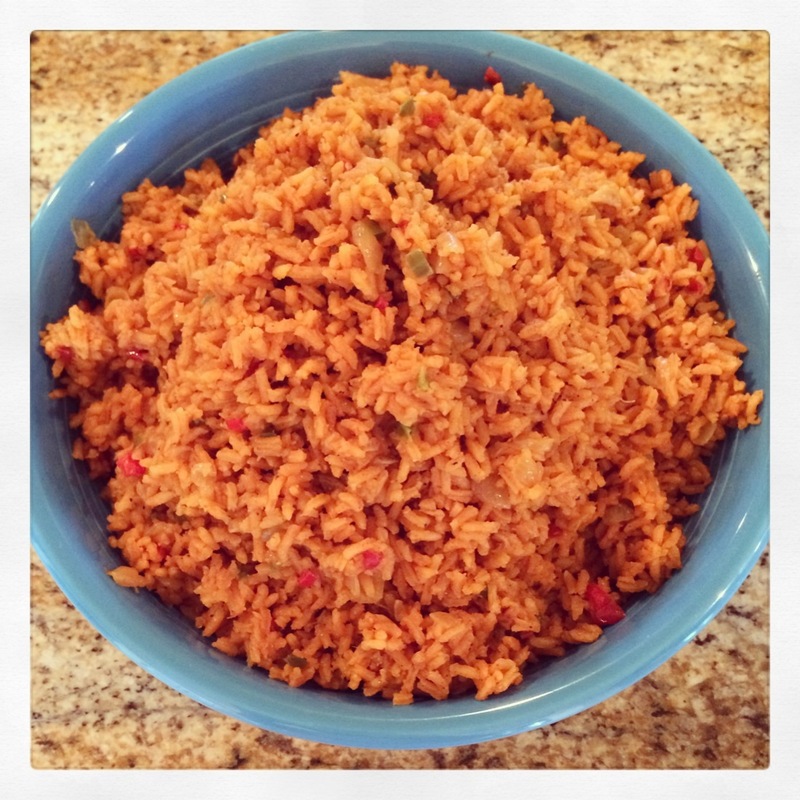 I make this colorful quick and easy Mexican rice quite often and it’s the perfect side dish to accompany all of your Tex-Mex favorites. Kids and adults alike love this Mexican rice and I promise it will be the hit of your next Taco night dinner! In a large pot over medium heat add the 2 tablespoons of Extra Virgin Olive Oil and sauté the, jalapeño, red bell pepper, Spanish onion, and garlic with a good pinch of salt until tender (about 5 minutes). Once the vegetables are tender add the chili powder, paprika, cumin and black pepper to taste. Toast the spices until fragrant (about a minute). Next add in the tomato sauce, 2½ cups of chicken stock, 2 tablespoons of butter and 2 packets of Sazon. Bring to a rolling boil then stir in the 2 cups of rice. Cover the pot with a tight-fitting lid and reduce the heat to a simmer. Simmer for 20 minutes. Fluff with a fork and serve.